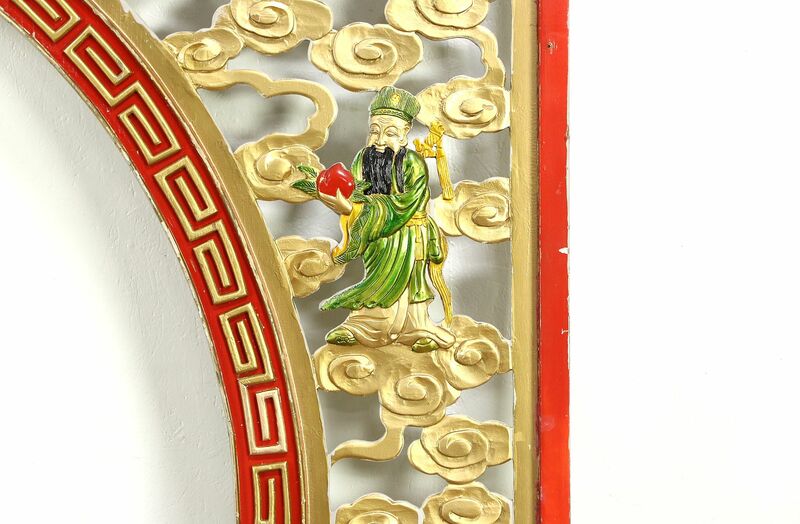 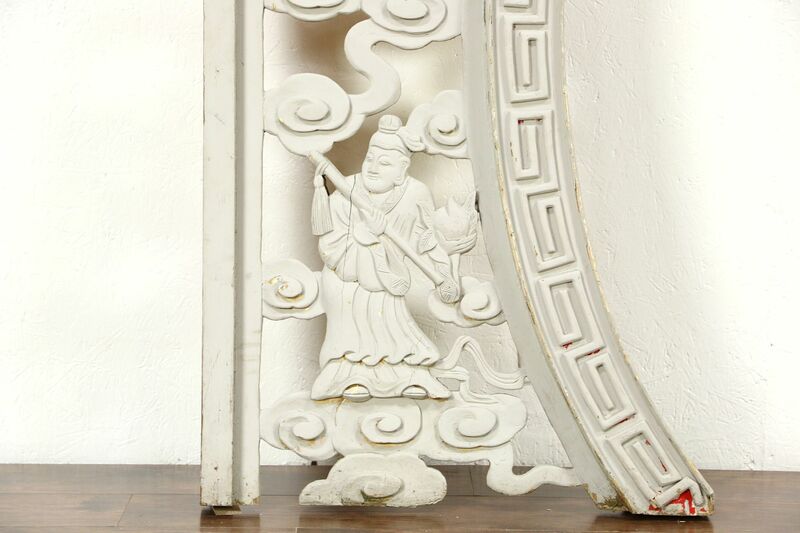 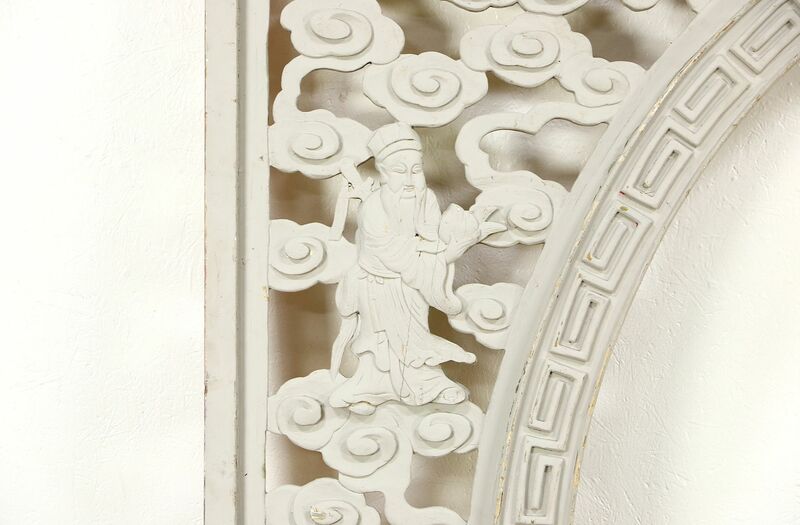 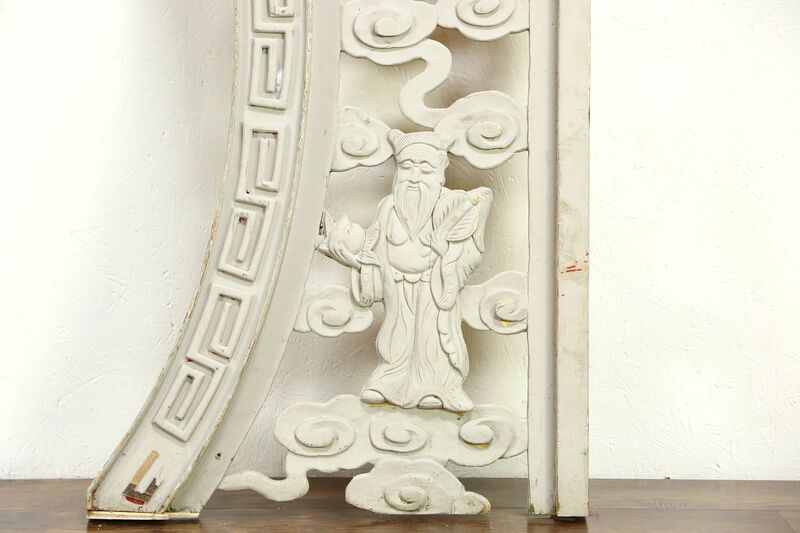 Architectural salvage from a building in China, this richly carved and hand painted archway has a theme of ancients holding pomegranates, a symbol of fertility. 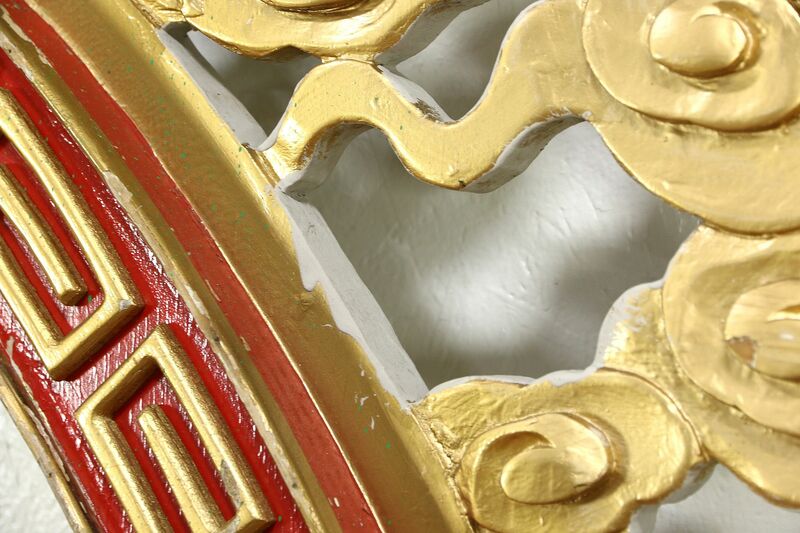 There is wear to the paint, which has been repainted as is customary in China. 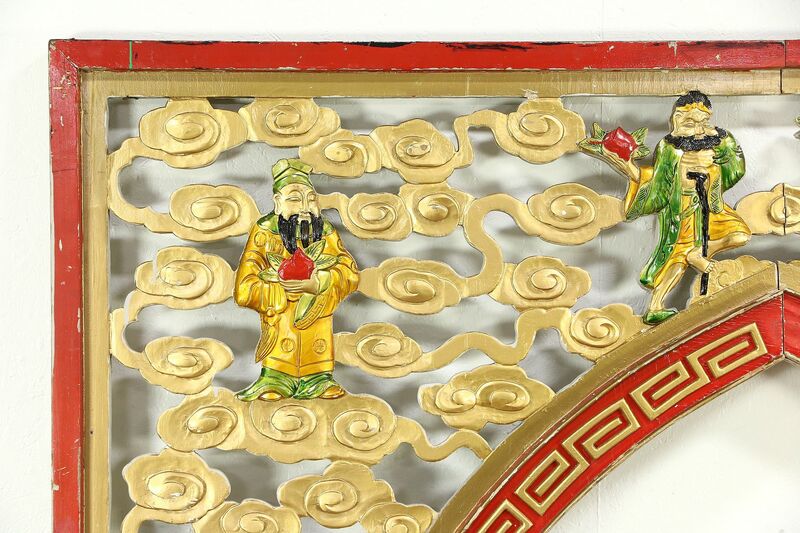 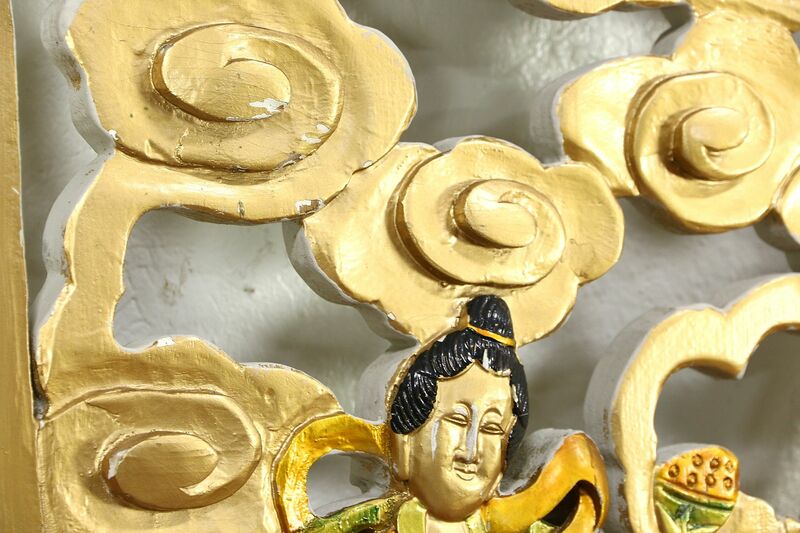 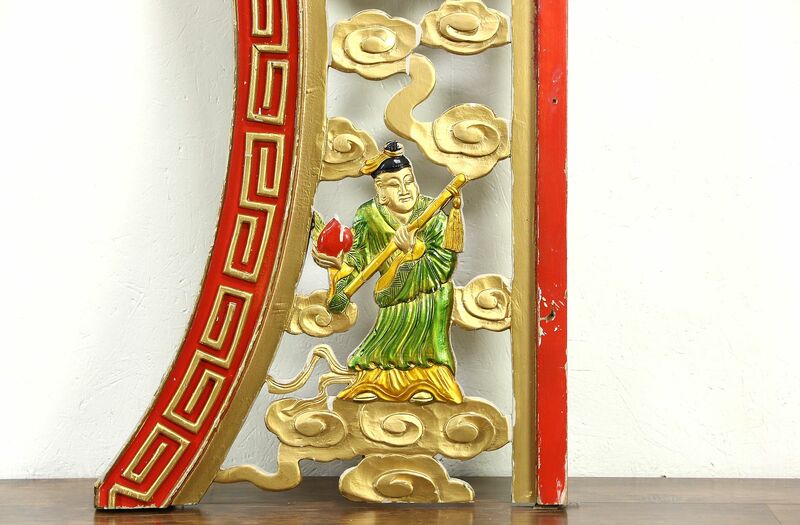 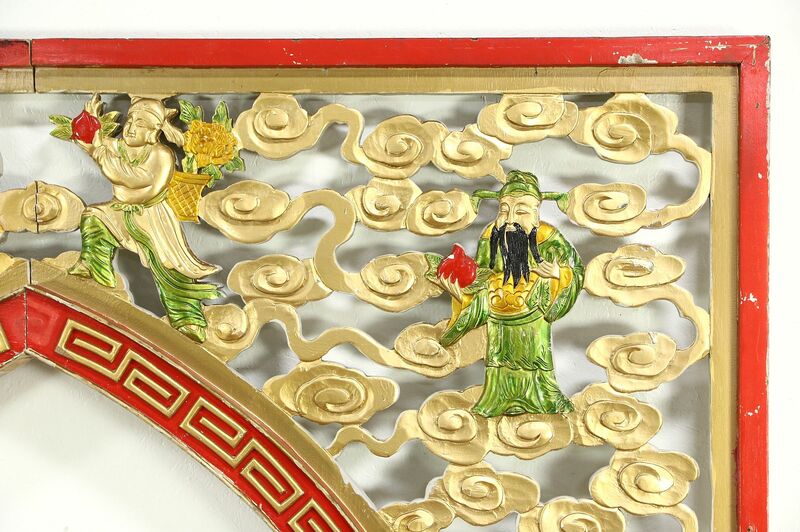 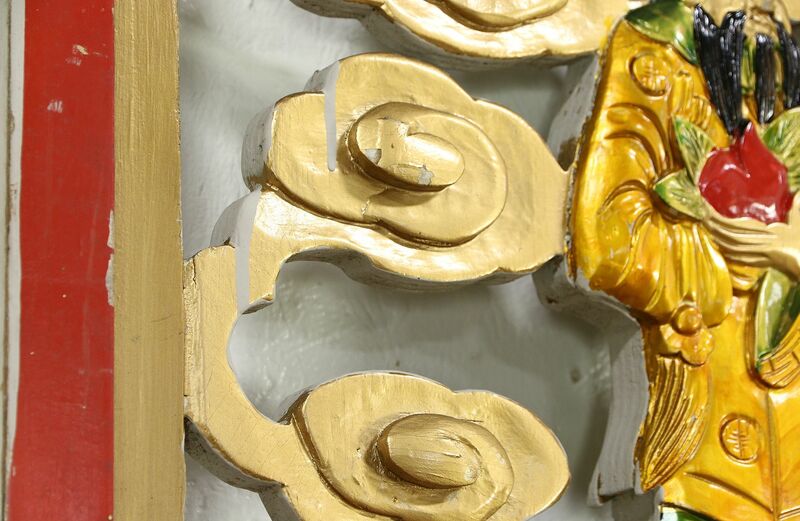 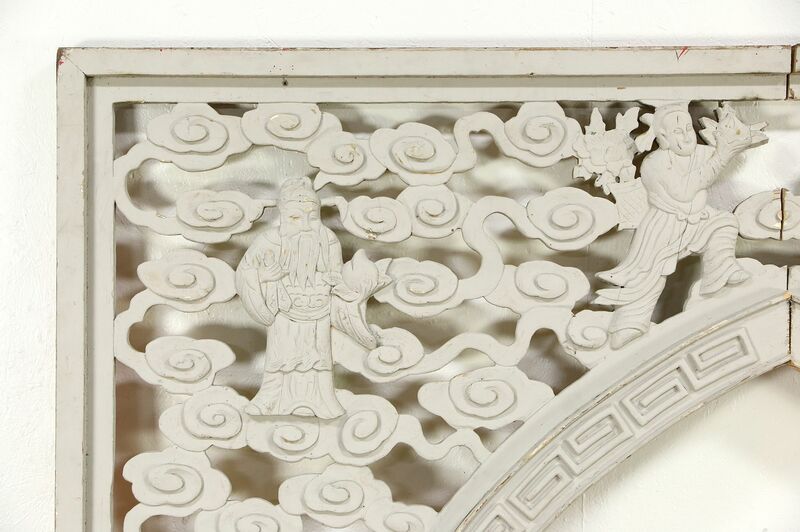 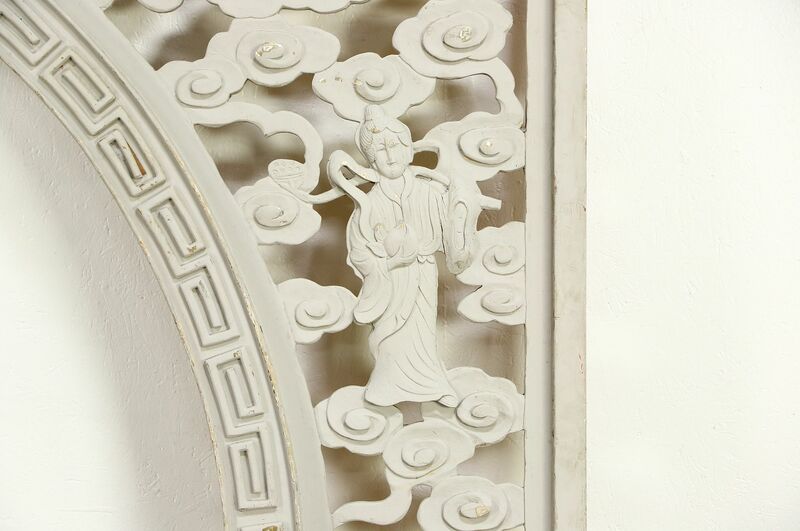 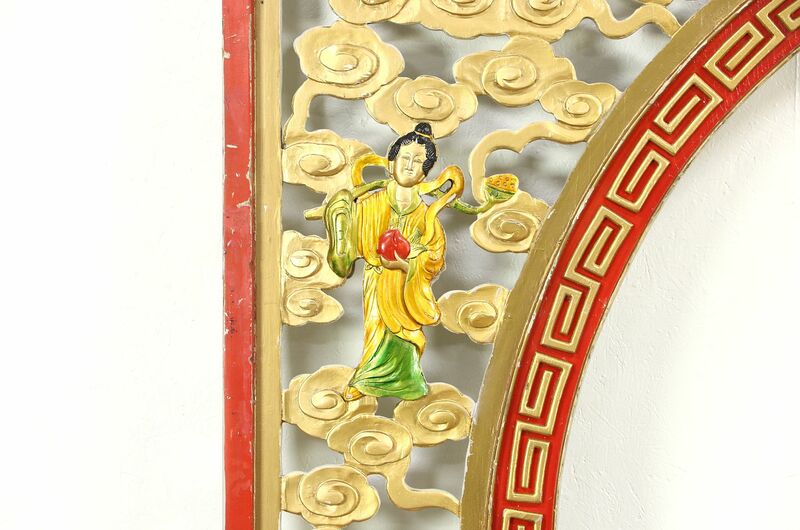 Around 75 years old, the deeply sculpted hand carving is traditional artistry. 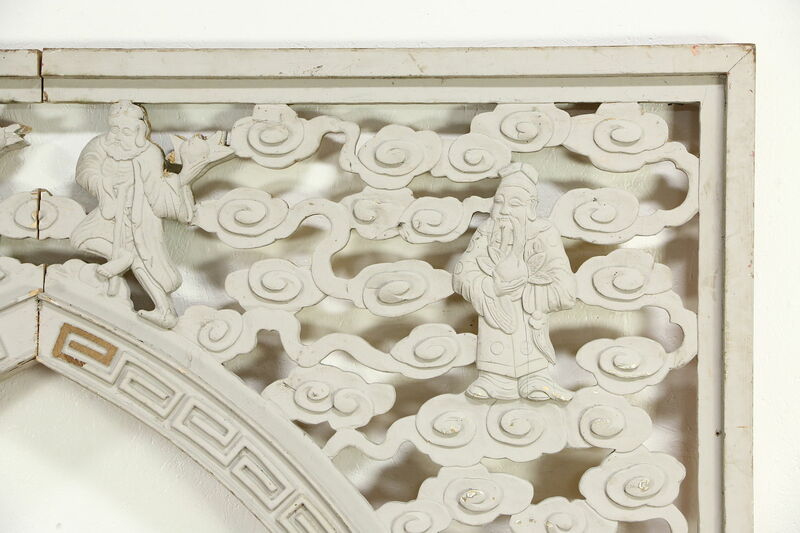 The backside is similarly carved, but appears to have gray paint over the original colors, see photos. 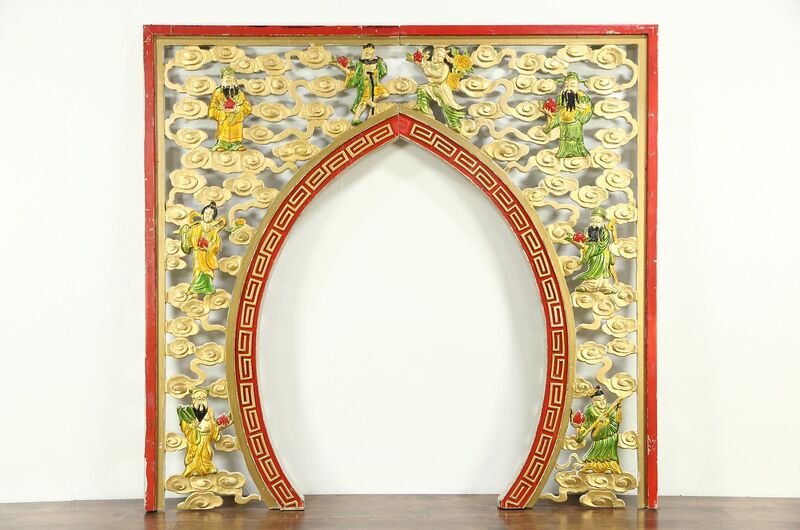 This arch could be raised for a doorway to a wine cellar. 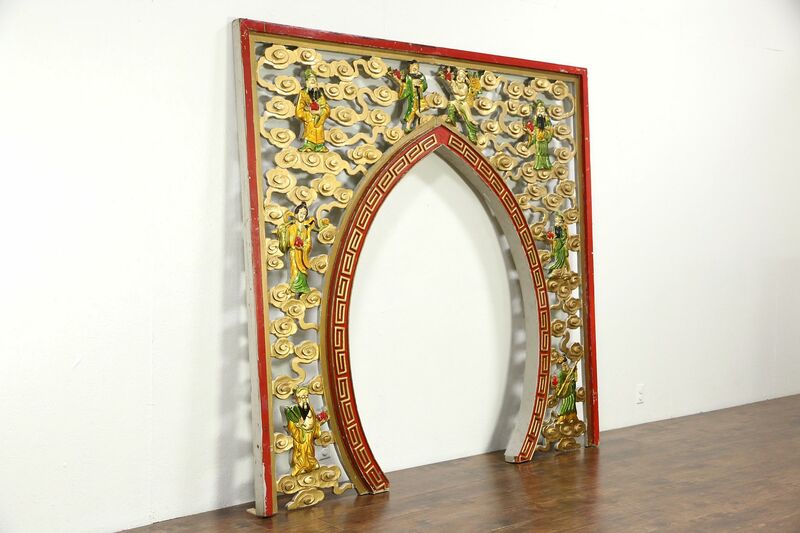 Set on the floor, the opening measures 64" tall, 48" wide and 33" wide at the bottom. 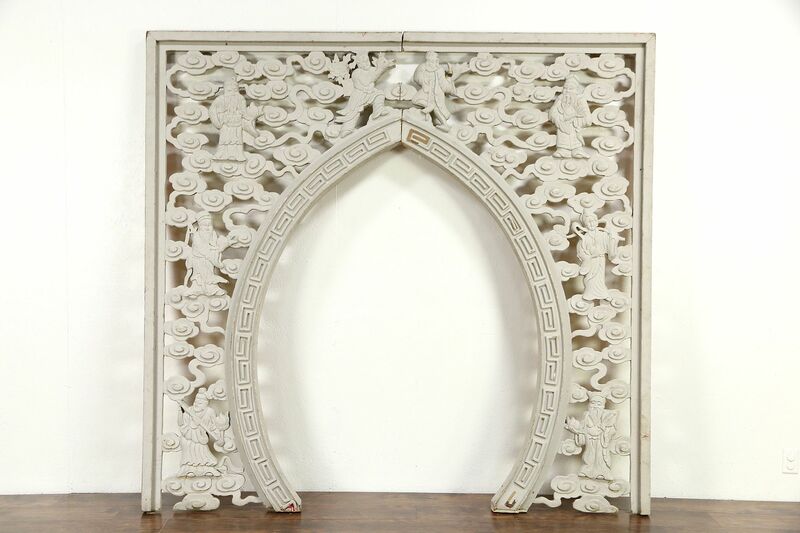 Two separate pieces are joined at the center. 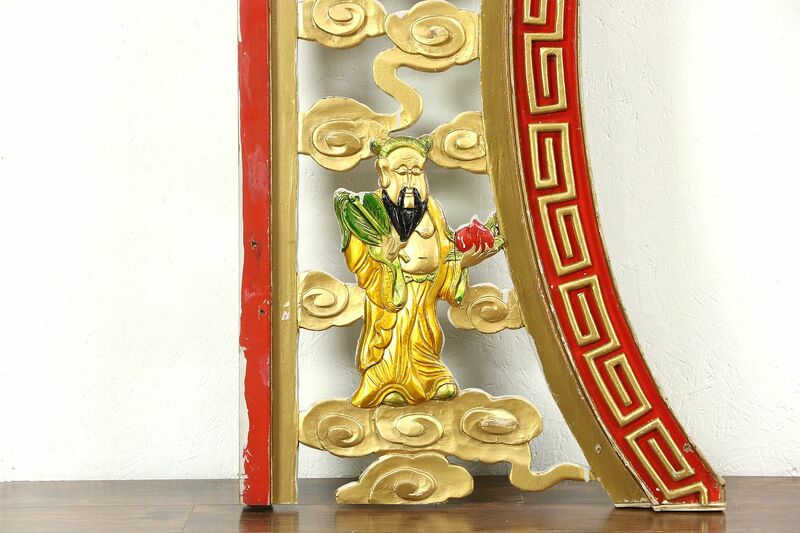 Measurements are 89" wide, 83" tall and 3" deep.